Hey, lovelies! I hope you are all doing well and enjoying your week so far. I attended IMATS NYC this past weekend and boy, was it a blast! So much so, that I am already looking forward to next year's event. 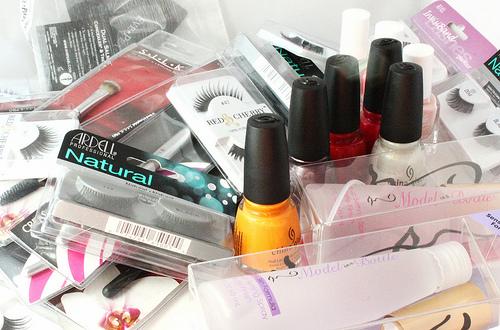 Today, I am going to be sharing with you all what I hauled over at IMATS. I am really happy with the items I picked up and, I am looking forward to trying them all. Make sure to be on the lookout for future reviews. Royal & Langnickel: Makeup brushes was something that was at the top of my shopping list so, you will see quite a few in this post. 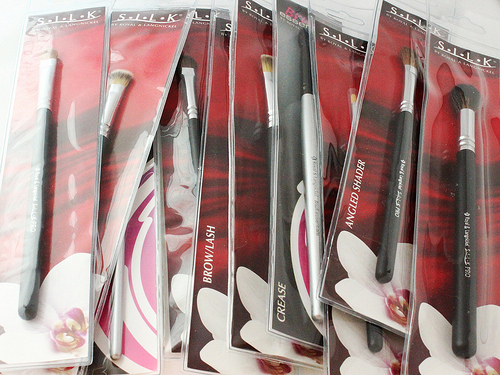 When I was browsing the Royal & Langnickel Brush booth I had a really hard time deciding on which brushes to pick. They all looked to be of nice quality, and they were pretty reasonably priced. Apparently, I was really into the eye brushes as you can see. 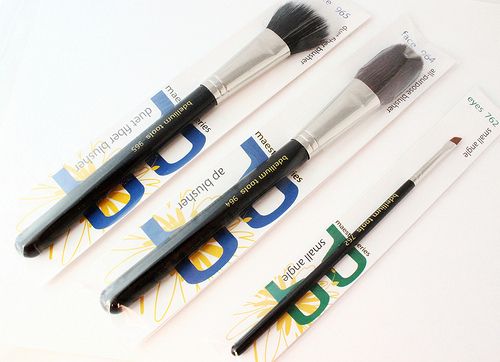 Bdellium Tools: More brushes! From the bdellium tools booth I picked up a duet fiber blush brush, an all purpose blush brush, and a small angle brush. I love the look and feel of these brushes. They are very sleek, and the hairs are super soft. False Lashes: Imats was a great opportunity to stock up on lashes, since they were all at such fabulous discounted prices. 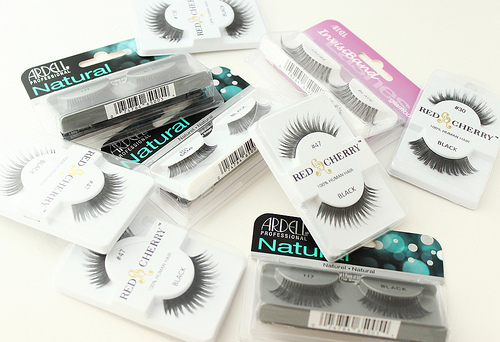 I picked up four pairs of Ardell lashes, and at the Lady Moss booth I got five pairs of Red Cherry lashes. I am really excited about the Red Cherry lashes. The hairs are so soft and natural looking. I am sure these are going to add an awesome flair to my eye looks. Model In A Bottle: I finally got my hands on this beauty classic! I couldn't decide weather to get the original or the sensitive skin formula, so I got both! Summer is just right around the corner and my makeup is very prone to melting off my face. And it doesn't help that I have oily skin, either. I am hopeful that these setting sprays will keep my makeup hanging on all day. These give off a matte finish to the skin, and they are toted as being smudge, humidity, and water resistant. Julie G Nail Polishes: At the Jessie's Girl booth I picked up three Julie G nail colors. (From L-R) Birthday Suit is a soft pink which of course, I had to have since I am always drawn to shades like this one. Bikini is a vivid almost-neon bubblegum pink that is sure to stand out against a tan. And Gelato In Venice is the essential mint green that is always great to have at hand. These hues are just so perfect for the spring and summer months. I can't wait to sport these! 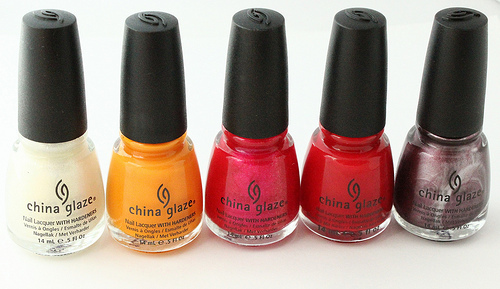 China Glaze Nail Polishes: Can you believe that these are my first ever China Glaze nail colors? I made sure to pick up a nice mix of shades and finishes. The shades I chose (L-R) were White Cap, Papaya Punch, 108 Degrees, Poinsettia, and Joy. 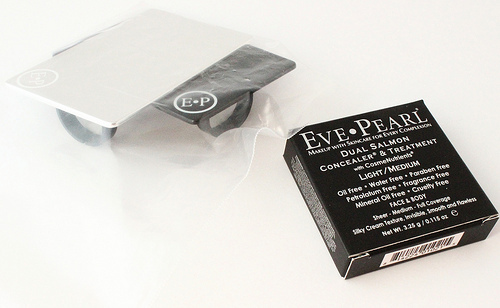 Eve Pearl: I could not leave IMATS without picking up Eve Pearl's Dual Salmon Concealer & Treatment. This concealer has been on my wishlist for so long, and I can't wait to see what this concealer can do for my stubborn, dark under eye circles. I also picked up a set of two metal palettes. I have always wanted one of these to conveniently pour and mix liquid and cream products like foundation and concealer. Thanks for checking out my IMATS haul, everyone! Disclaimer: I am not affiliated with any of the companies mentioned above. I purchased all of the products listed above with my own funds, for my personal use. Looks like you got a lot of amazing items! I have been dying to try out Model In A Bottle! You'll have to do a review on it! Lovely haul! I live in TN so there are no closer IMAT shows to me, but maybe one day. I would love to see a review of Model in a Bottle once you have a chance to try it out. Thanks, CC! I hope you can make it to IMATS one day, it's so much fun! It's a makeup lover's dream event :) I will definitely review the Model In A Bottle setting sprays. Be on the lookout for that! Great haul! 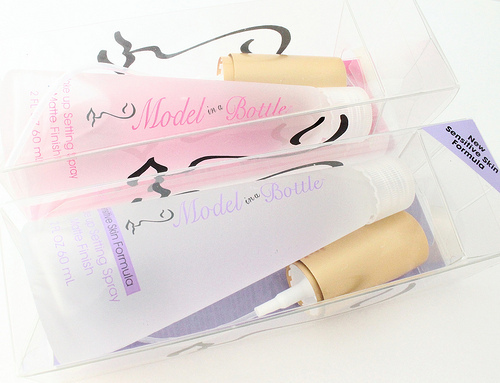 Your gonna love Model in A Bottle! It's amazing! Fab haul! I'm already looking forward to next year, as well. It was so much fun! The Julie G nail polishes were amazing, the colors they had were so pretty! Also, wish I stocked up on more brushes after seeing this, haha! Thanks, Jess! I know! All of the Julie G nail colors on display were so lovely. Now that I think of it, I wish I would have gotten more!